Blossom Hill, built-in a former Almond grove in Uzumlu close to Fethiye. This petite complex is a striking, wonderfully private place of six spacious properties nestled into the pine-clad mountain side with panoramic views of the valley of Uzumlu from their private poolside terraces. Inside, the pale walls and full height patio doors allow light to flood in while the intense, eclectic blend of furnishings and soft lighting create an air of restful intimacy, not to mention the impeccable service of the attentive complex management staff. This fabulous property provides the setting for a truly special holiday experience. Outdoors: Large swimming pool, Children's splash pool, Mountain views, 5 minute walk to village & shops. General: Air conditioning throughout, Plasma TV, DVD Player, Internet. Outdoors: Large terraces, Large outdoor pool , Gardens, BBQ. We were fortunate enough to spend a couple of days with friends at Blossom Hill, it was so relaxing and had amazing views across the valley. The leisurely stroll into the quaint little village was only between 5 10 minutes and that is with a recent double hip replacement. So don't let the "hill" part put you off. It was a chance to see traditional Turkey, with the old boys siting in the square putting the world to rights whilst drinking tea (amongst other beverages) whilst the Turkish ladies sat in the home producing lace and other handicrafts. I would also recommend a meal at the Winehouse excellent hospitality and food. We were there on a Wednesday and took part in a fun filled quiz. Uzumlu is so close to Fethiye and Calis yet worlds apart in culture and attitude, you can get the Dolmus about 20mins ride. Well worth a visit. 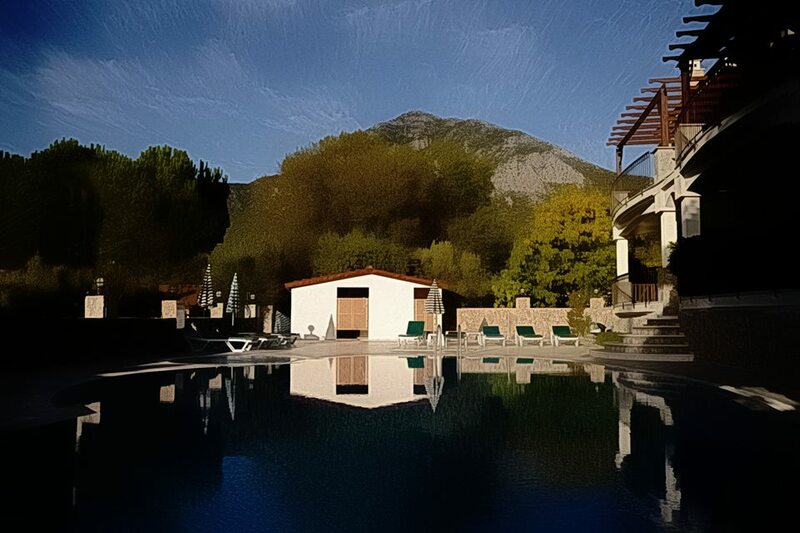 Amazing place, stunning views, beautiful well kept garden and swimming pool lovely rustic village with lovely restaurants, supermarkets, bakery, nik nak shops etc.within 5 mins walk If a relaxing unspoilt holiday is what you want,then this is the place. Well recommended.